I've spent a fair bit of time writing about the Every Student Every School Policy on this blog. I've spent a fair bit of time writing about it to various Politicians too. I've attended a rally, been interviewed by media, collected signatures on petitions, and met with my local Member of Parliament. But the policy is still in place, and the world is still turning. Event though it might seem to most that I'm going on about something that really isn't having much of an impact, it is early days yet. Aside from the fact that the NSW Government has since introduced even more funding cuts from more areas of education that will further compound the problems experienced by teachers, students and parents, the effects of Every Student Every School have begun to be felt in our household and many others, and will continue to impact us over time. Here is a summary of the main effects I have noticed in the last 10 weeks. Teachers Aides, or Learning Support Officers, in many schools have lost their jobs. This impacts (obviously) the Teachers Aides, the teachers who now have less "hands on deck", the Students who have less support available and their Parents who have their children arriving home form school more stressed. In our house it took 2 weeks before L commented to me about the drop in support. His school promised to maintain as high a level of support as they could with the same teachers Aide, but it took only 2 weeks for L to comment that he hadn't seen MsA very much lately. The comment may have sounded quite ambivalent to those who don't know him, but I know that he doesn't mention things unless they are weighing heavily on his mind. We have not yet noticed a drop in L's academic performance. It will be interesting to see if there is a difference in his end of year results compared to the results he achieve in Semester One with higher levels of support. We have noticed his enthusiasm for school dropping, which is sad because he is a bright boy who loves to learn new things. We received his NAPLAN scores last week and were encouraged to find him well above the National average in a couple of areas, one of which he had really struggled with a few years ago. We believe this is a testament to the results possible for a child with a disability when they are adequately supported. We fear that over time, with the lessened support made necessary by the new funding policy, L's academic results will suffer as he struggles to navigate the social environment alone and that takes away the energy he needs to do well with his school work. One of the changes has been the way you now apply for individual funding. Previously, a diagnosis of Autistic Spectrum Disorder qualified you to apply and receive some individual funding. The amount of funding was determined by a formula applied to information provided by parents and teachers into a standard form processed by the Department of Education. The form hasn't changed very much, nor has the formula. It still takes ages to fill in, and is painfully bureaucratic. It still feels like it is designed to be so difficult that you just give up trying to satisfy all its check boxes and jargon filled explanations. The difference now is that the diagnosis no longer automatically makes you eligible to apply. Now you have to complete an expression of interest style form, which I lie to refer to as the "Application to be Eligible to Apply". This preliminary application is just as complicated and time consuming to manage as a parent or School Principal, but provides the Department of Education with a short one page set of number codes that they put into another little formula to decide if you should fill in the real application. I suppose this process saves someone in an office somewhere some time processing the longer set of paperwork, but what it does form my perspective is make our School Principal and me work twice as hard and use twice as much time. In a way I consider that we are lucky to have done both applications, because I've heard that many people filling in the preliminary application are told not to bother to apply. We were given the go ahead to apply to be considered for individual funding for MissG, which we have now done. I think in total I personally have spent about 8 hours on this process, including the approximately 4 hours I sat with The Principal going through the application forms. I don't know for sure how much time The Principal has spent on it, but I know it was considerably more than the time he spent on it with me. So, at least half of one of his work days was spent on my daughters funding application. I know for certain she is not the only student enrolling next year that he will do this for, and I know for certain he has spent time on applications for students already attending the school. This is time spent on individual students that should be able to be spent on whole school issues. Yes, in some ways, sorting out funding for individuals *is* a whole school issue, but it shouldn't be! These are the main things I've noticed, from with in my household. At this point, I'd be interested to hear from others that the Every Student Every School Policy is impacting, and to know how the Policy has affected you so far. All comments made on this blog have to be approved by me before they are posted publicly on the blog, so if you want to share confidentially just let me know in your comment that it is private and you do not want it published. If you would like me to reply privately, please leave me your email address. All observations and comments are valuable, so please leave me your thoughts however small they might seem to you. Thanks! Thanks for your comment Kristy. I have heard a few people say that their school has managed to leave things mostly unchanged til the end of the year, but that next year they will really feel the impact. It is just so painful to have to spend so much time fighting for something we had, that it was recognised our children needed, yet was taken away even though nothing changed in our kids! Wishing you good luck for your negotiations on behalf of your son. Glad to finally get some information on the new funding model. Thank you. Like Kirsty our school situation should remain much as it has been until the end of the year, but who knows what will happen next year. My children attend a small (approx 80 children) school and we have been hit hard by the new policies. Given the 1 in 100 ratio the government is applying our school won't even receive an allocation of funding for one whole student. There is actually 5 kids on the spectrum at the school. Once again we are at the point where I feel we need to consider home-education. While I feel confident that it could work for my daughter, I feel let down by the government and stressed by the impending fall-out of this ignorant policy. 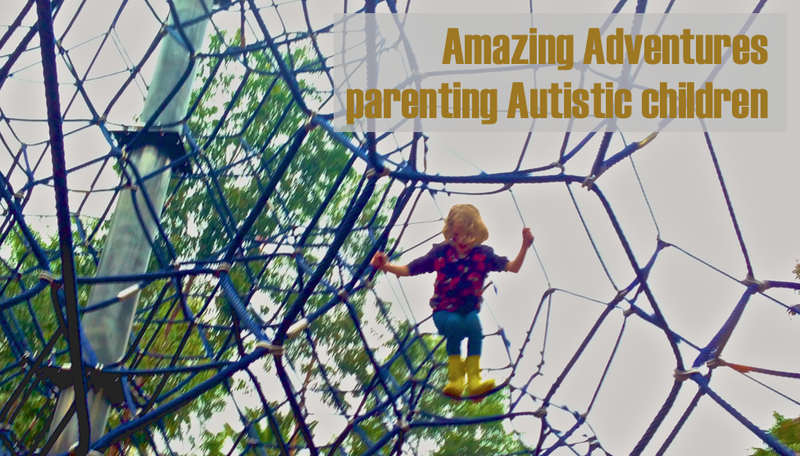 Liz- I am hearing more and more parents talk about home educating their ASD kids. While I can understand this, it is wrong that children and their parents feel forced out of a system that is supposed to provide equally for all. Thanks for sharing your thoughts.